Women are very careful about their breasts, how they look and what change of size is normal as per their age. However, they also must pay a close attention to their breasts for a very different reason – to look for any breast cancer symptoms. Breast cancer is lump caused by abnormal and uncontrolled growth of cells. Most women with cancer, aged between 55 and 64, are diagnosed with this type of cancer. Men may also develop breast cancer, however, such men are fewer in number compared to women. Early identification of symptoms, timely diagnosis and appropriate treatment are key to an increased survival rate of breast cancer patient. This article talks about seven facts about breast cancer symptoms and treatment that every risk group must know. Fact #1: Swollen breasts is not the only breast cancer symptom, there is a lot more! Most often men and women who suspect breast cancer think that they need to visit a doctor immediately for an examination. However, it is possible to conduct a regular self-examination at home itself to notice any anomalies with respect to the breasts. This is highly important for people with increased risk of breast cancer. You can bare yourself in front of a mirror and look for any sudden change in size, redness, swelling, puckering, inversion or unexplained discharge. In addition, you can lie down and move your fingers gently around the breast to check for any lumps. People often wonder that the breast cancer symptoms are only related to the breasts. While changes in breast in one of the earliest signs of the disease, there are certain other symptoms that must also be noticed. For example, unexplained back pain, respiratory issues such as persistent cough, fatigue, sudden changes in bowel and appearance of a new mole or changes in an existing mark or mole can also be the warning signs of breast cancer that most people tend to ignore. Surgery is one of the several treatment options that doctors may consider to provide to their patients. Typically, breast cancer treatment can be either local or systemic. Local treatment involves complete removal or destruction of the cancerous tissue, which can be done with the help of surgery (lumpectomy and mastectomy) or radiation therapy. Systemic treatment is done when there is an urgent need to destroy cancer cells that have spread to other sites as well. Chemotherapy and hormone therapy are two such treatment options. Local treatment is often followed by systemic treatment to remove traces of residual cancer cells. 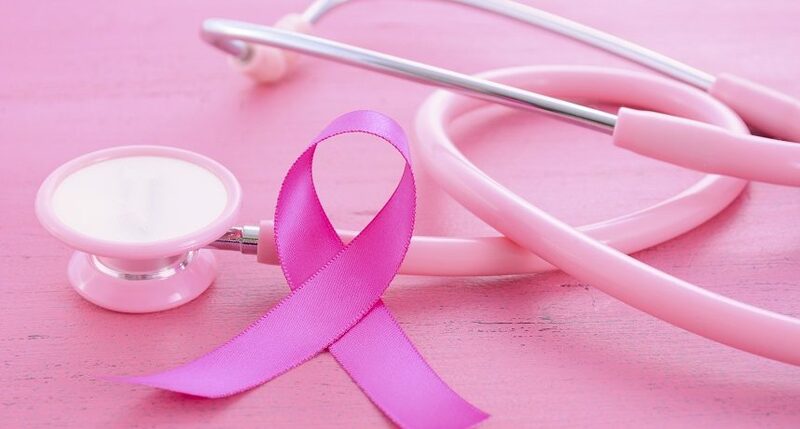 Depending on the type and extent of breast cancer, a patient may be required to undergo only a single type of treatment or a combination of both. Human ovaries produce hormones that facilitate the growth and multiplication of cancer cells. These hormones, including estrogen and progesterone, are thus blocked with the help of hormonal blockers such as aromatase inhibitors and tamoxifen. These inhibitors help reduce the amount of hormones that promote cancer cell growth and development. The ovaries are removed only when the hormonal therapy do not work and the percentage of women whose ovaries are removed as a last resort is comparatively low. Following the complete course of treatment, the recovery of the patient may be closely monitored by the oncologist to check for any risk of recurrence. If required, the doctor may prescribe chemotherapy or hormonal therapy for a few months after the treatment. These treatment methods are used in combination with the local treatment methods. As soon as you are sure of any breast cancer symptoms, make sure to consult a doctor immediately. The physician may conduct a series of medical tests and examination to confirm breast cancer diagnosis. Additional tests may also be prescribed to check whether the cancer is invading surrounding areas as well. Accordingly, a breast cancer treatment plan may be devised to control the spread of the tumor.